When families take the time to talk about long-term plans, it gives everyone the opportunity to make sure things are up to date. Missing or outdated beneficiary designations can steer an estate plan off course. Retirement assets, life insurance policies, executive deferred compensation plans, annuities, and even certain types of bank accounts typically transfer at death to their named beneficiaries in the first place. The consequence is that the money could end up in the hands of someone for whom it isn't intended, such as an ex-spouse in the case of a retirement account set up decades ago and long forgotten. A lack of beneficiary could put the matter into probate court. Both situations could cost the family time and money to resolve. Accounts should be reviewed with advisors periodically - once a year or after any significant life change - to make sure the beneficiary intentions match what the estate documents say. When these are in sync, everyone can rest easy that their parents' wishes are being carried out. 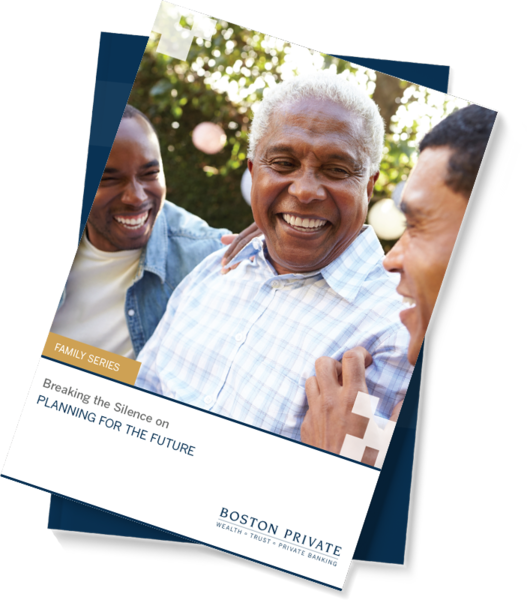 For more information, contact a Boston Private advisor or visit our full Parents Series page here.